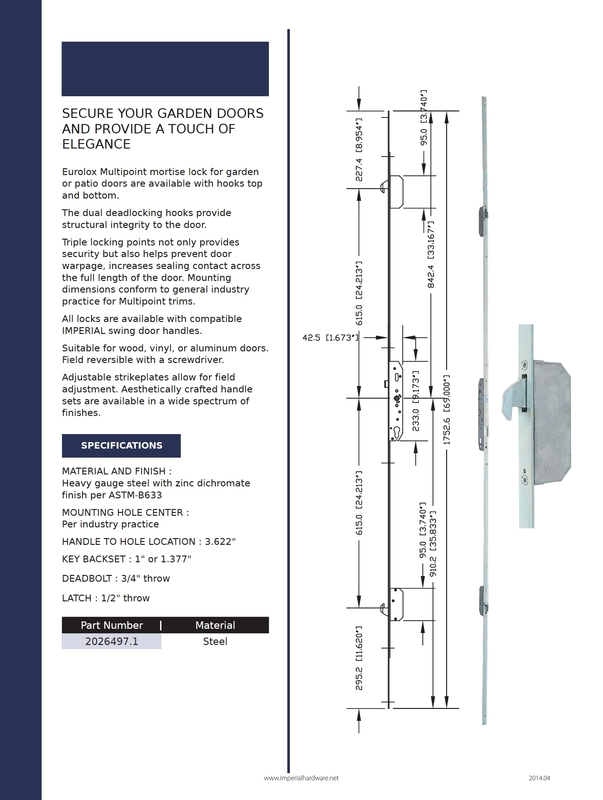 Product Description Secure your garden doors and provide a touch of elegance EUROLOX MULTIPOINT mortise lock for garden or patio doors are available with hooks top and bottom. 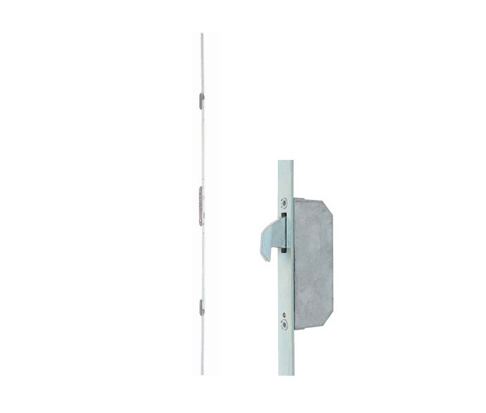 The dual deadlocking hooks provide structural integrity to the door Triple locking points not only provides security but also helps prevent door warpage, increases sealing contact across the full length of the door. 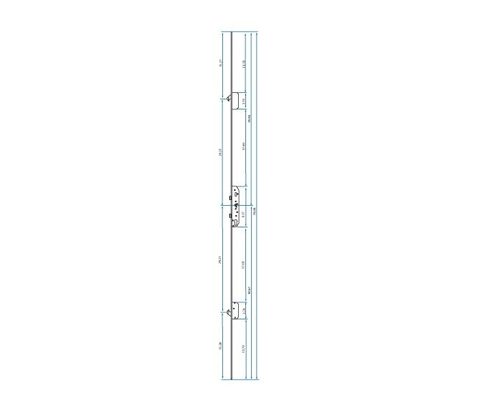 Mounting dimensions conform to general industry practice for Multipoint trims. All locks are available with compatible Imperial USA swing door handles. Suitable for wood, vinyl, or aluminum doors. Field reversible with a screwdriver. Adjustable strikeplates allow for field adjustment. Aesthetically crafted handlesets are available in a wide spectrum of finishes.